Who is the only female to hold the position of Omaha Chamber of Commerce chairman? Linda Lovgren. We were fortunate to spend some time with Linda, the founder and President of Lovgren Marketing Group. Linda, one of Omaha’s top female entrepreneurs, has been in business for over 30 years in the areas of public relations, strategic marketing, event marketing, government affairs, advocacy, and awareness campaigns. Linda started her company working from her home with just a part-time intern. She has grown her business and expanded staff to meet the needs of a variety of clients in different industries.  The Omaha Business Hall of Fame is an honor initiated by the Omaha Chamber of Commerce. Linda is a worthy recipient of the award for several reasons, including her strong integrity and ethical foundation. She traces these strong values back to her childhood growing up on a northern Iowa farm with hardworking, ethical parents. “People operated on a different level of trust, business was done with handshakes.” This personal, relationship-based approach to business has influenced the way that Linda has built her business. Follow through, trust, and a do-what-you-say personality has been part of her everyday life. Linda is trusted closely by her clients, often working on projects and campaigns that will greatly affect their business or communication with the public. This trust was exhibited when working for an insurance company that was in the process of going public. Linda was included in all the confidential strategy sessions, worked from their offices for several months, and met with the executive team to transition to the new ownership structure. When asked to describe an ethical situation that was easy for Linda to deal with, she referenced the situation that many in her industry face. After her firm had developed a print advertising piece for a client and there was a mistake in the final version, Linda told us that her firm’s policy is to stand behind their work, redo the piece and make it correct even if it means covering the cost to redo it. Linda added that Lovgren Marketing Group is always upfront on issues with their clients and that in the long run the relationship with the client is not worth the small issues or costs but is built on mutual respect. After some discussion about easy ethical dilemmas for her and her firm we asked her to share a hard ethical situation that she has come across in her business. The situation that Linda explained was a rather enlightening story from an ethical perspective. About ten years ago Linda had a high-level employee leave the firm and move to another state, however, after a short time with another company the employee asked Linda to open an office where he would reside and pursue clients in that market area. After careful consideration, Lovgren Marketing Group opened the additional office. After the office was opened and experiencing some success in the area, Linda said that she started to get an uneasy feeling about the situation. One evening the employee sent Linda an email that he was quitting effective immediately with no further explanation. Linda immediately contacted a lawyer to go to the office and do some research on the situation. Then she learned the employee had filed his own marketing corporation one year prior to his resignation. Since the state in question feels a person has a right to compete, the employee was able to “steal” one of the major clients. Even though there were other employees in the office, the loss of the major client caused Linda to have to shut down the office. She offered the other staff members a transition or to help them locate another job in the area. When helping the employees to find a new position, Linda stated that she sees it as a “big responsibility to the employee’s welfare as you are a large part of the family’s income.” This dedication to the employee is difficult to find in today’s market. Linda is an exceptional employer and truly cares about her staff. When asked about her feelings of how ethics played a role in that situation, Linda admitted that it was a completely clear ethical issue that was easy to assess but difficult to pursue. maintained by the Business Ethics Alliance. Linda believes these strong values are influenced by the cultural accumulation of business leaders coming from the Midwest, strong entrepreneurship, and the responsible generational family leadership in the Omaha community.  During Linda’s time as chairperson, it could have been easy for her to use inside information about businesses coming to Omaha, expanding their reach, or bringing new products to market to solicit personal business. She shows her integrity by her actions. She knew that in the long-term, community leaders would know her by her good work and would use her firm or recommend her work to others. In discussing how Linda helps to shape the culture with employees at her company, she emphasized that most of her employees have been at the company for many years. One employee has worked for Linda nearly as long as she has been in business. Linda explained that with employees spending such a large amount of their working life at a small company like the Lovgren Marketing Group, it becomes more of a family atmosphere and has a genuine sense of caring. Linda mentioned a Gallup Organization indicator that she believes is important to any workplace, “do you have a best friend at work?” Linda explained that if you have good friends at work, both the environment and your individual contribution become more than just a job. When this type of connection to your work exists, employees tend to be more caring and make more ethically based decisions.